Kathryn BudigYoga teacher and author Kathryn Budig doing a seated forward bend, which helps with sleep. — and often end up starting each morning feeling groggy and sporting dark under eye circles. In fact, more than 25% of the US population doesn’t get enough sleep, while 10% suffer from chronic insomnia, according to the Centres for Disease Control and Prevention. Laying flat with your legs on the wall can help bring a sense of calm, according to Budig. 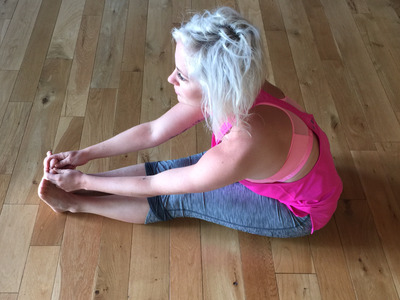 That’s because the pose reverses the blood flow in the legs. “This is the perfect way to soothe overused legs that have been worked hard throughout the day,” the yoga expert said. 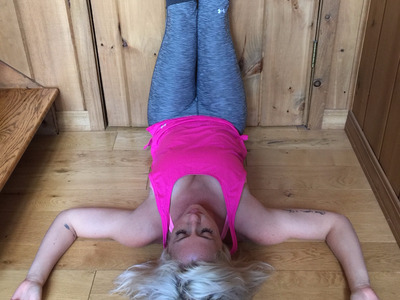 Kathryn BudigBudig demonstrating legs-on-the-wall, which helps soothe the legs and relieve stress. 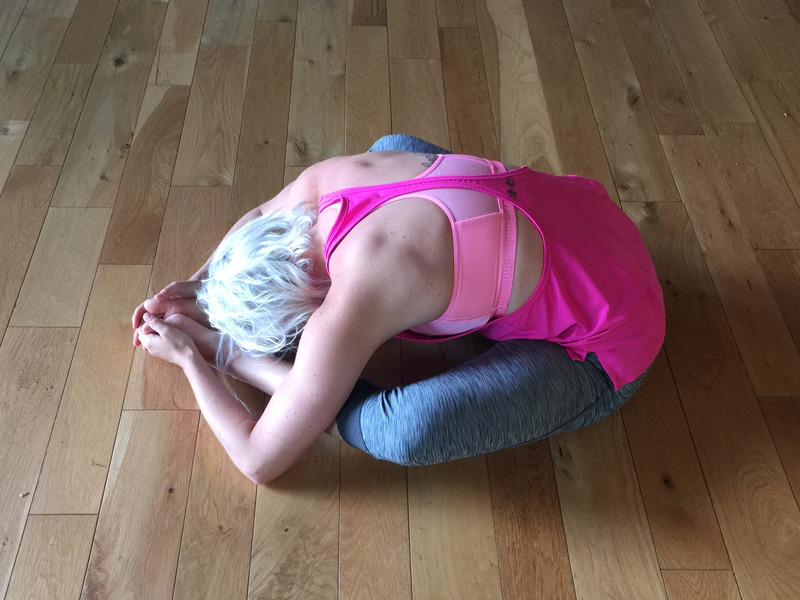 Budig recommends pairing this pose with breathing work, which tells the brain to enter into the parasympathetic mode — the body’s rest-and- digest response — and helps move you away from day’s most stressful moments. “The key is the connection of breath with position and intention. It’s making the conscious decision to turn off your mind or calm down with a yoga posture that physically tells the body to slow down, combined with the breath, which helps to alleviate stress and anxiety,” Budig said. When it comes to doing yoga to sleep, there’s one key rule you must follow, according to Budig. Kathryn BudigHip openers help the body unwind, Budig said. The yoga expert’s go-to pose before bed is legs-up-on-the-wall. She also makes it a point to do hip openers, since she travels regularly and tightens up easily. But if she’s extremely tired, she’ll just swing her legs up on the headboard for about five minutes before sleep. “Every bit helps,” Budig said.